Fuel Cell sensors are the latest advancements in digital alcohol testing. Designed to be more accurate as semi-conductor sensors, fuel cells are the gold standard when testing BAC. 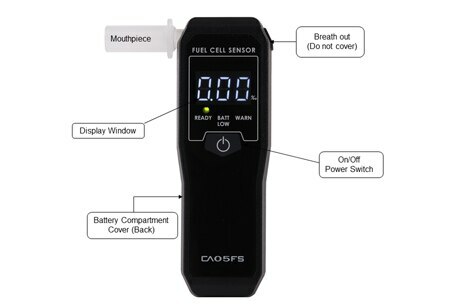 An increase in durability leads the CA05FS to have an extended life before needing calibration. A less frequent service and maintenance schedule, lowers the overall cost of ownership. In addition, the CA05FL will not detect a false positive for individuals on a low carb diet or diabetic.